A Phase I clinical trial has been approved to assess the efficacy of a stem cell graft procedure that seeks to provide a more robust treatment option for the millions of individuals who suffer from cardiomyopathy. Cardiomyopathy is a disease which affects cardiac muscle, making it extremely difficult to for the heart to pump blood, straining and wearing down the cardiac muscles further. Prolonged cardiomyopathy can require surgical intervention, and in severe cases, a heart transplant. 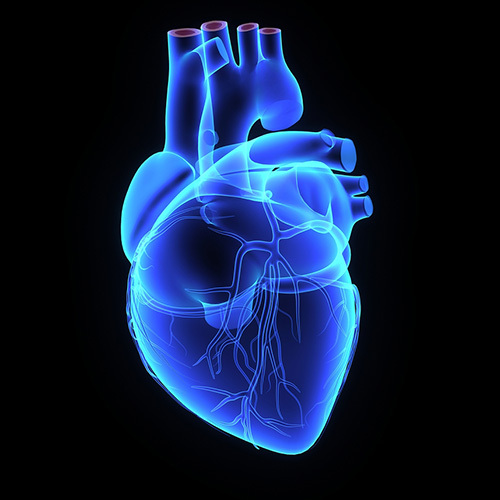 By implanting a thin membrane of collagen scaffold – seeded with the patient’s own stem cells, over the affected area, the stem cell graft changes the status quo on cardiomyopathy treatments by allowing the damaged heart muscle to mend itself. While current surgical treatments lack long-term efficacy in clinical applications, this novel approach was developed to specifically concentrate the stem cells to the site of the damaged tissue thereby increasing cellular repair and survival. How Can You Mend a Broken Heart - with Stem Cells! With a nod to the Bee Gees - Scientists from the University of Utah School of Medicine have successfully treated heart failure patients with autologous stem cells. Patients with stem cell therapy experienced 37% fewer cardiac events--including death and hospital admissions--than a placebo group. A year long clinical trial by the University of Miami Miller School of Medicine has demonstrated that autologous [the patient’s own] mesenchymal stem cells (the type of stem cells found in teeth) are a safe and effective stem cell source for regenerative therapies for the treatment of Ischemic Cardiomyopathy. The study also determined that mesenchymal stem cell treatment was more effective than treatments utilizing bone marrow mononuclear cells. Hypoxic-Ischemic brain injury can be caused by a number of ailments including cardiac arrest (heart attack), respiratory arrest, incomplete suffocation and more. The incidence in the United States of hypoxic-ischemic brain injuries is 1-8 in every 1000 births. Researchers at Nagoya University have used stem cells from human exfoliated deciduous teeth (SHED) to treat neonatal mice with hypoxic-ischemic brain injuries. They have found that this treatment leads to neurological and pathophysiological recovery of these injuries. These finding indicate that SHED may be utilized in the future for a novel neuroprotective therapy for hypoxic-ischemic brain injuries. At this year’s American Heart Association Scientific Sessions, abstracts reporting on clinical trials involving the use of stem cells to treat various types of heart disease, such as Acute Myocardial Infarction and Ischemic Cardiomyopathy, were presented.